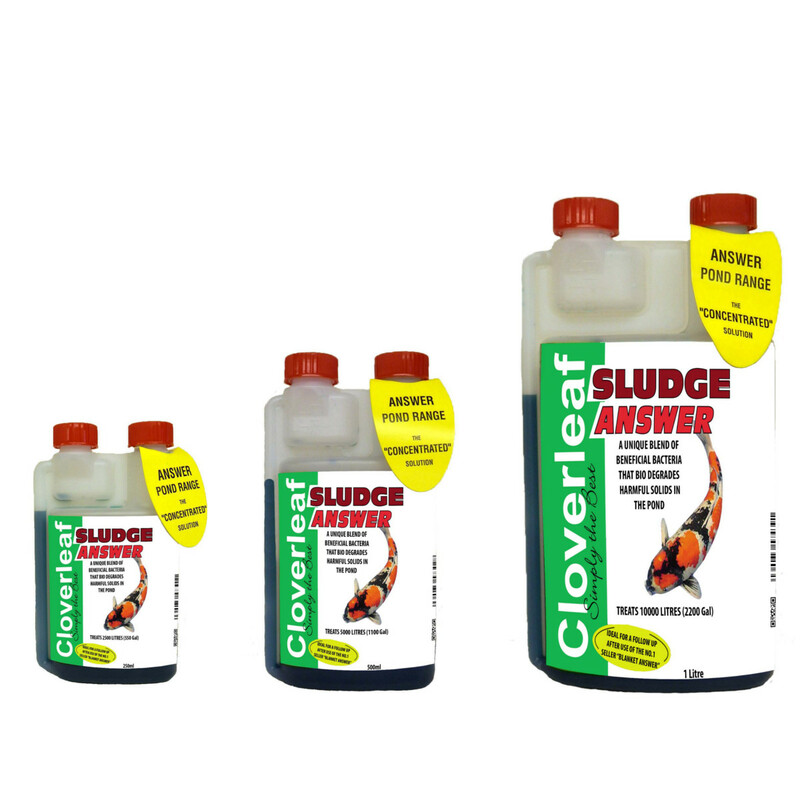 Sludge Answer is designed to remove the accumulated sludge within a pond or filter system. Accumulated sludge within the pond or filter system is not only an unhealthy sight; its harmful deposits will also become a detrimental breeding ground for nasty pathogenic bacteria. Using Sludge Answer frequently throughout the year on either a well-established pond or a new immature pond will greatly assist in obtaining filter maturity. Sludge Answer should be added at the rate of 200ml per 1000 litres (220 gallons) of pond water, with follow up doses (every 28 days or as required) at the rate of 100ml per 1000 litres (220 gallons). Sludge Answer should be mixed with 3 litres of pond water, using a watering can apply the mixture over the pond surface and to the filter system. UV Clarifiers should be turned off for the first 24 hours of application.